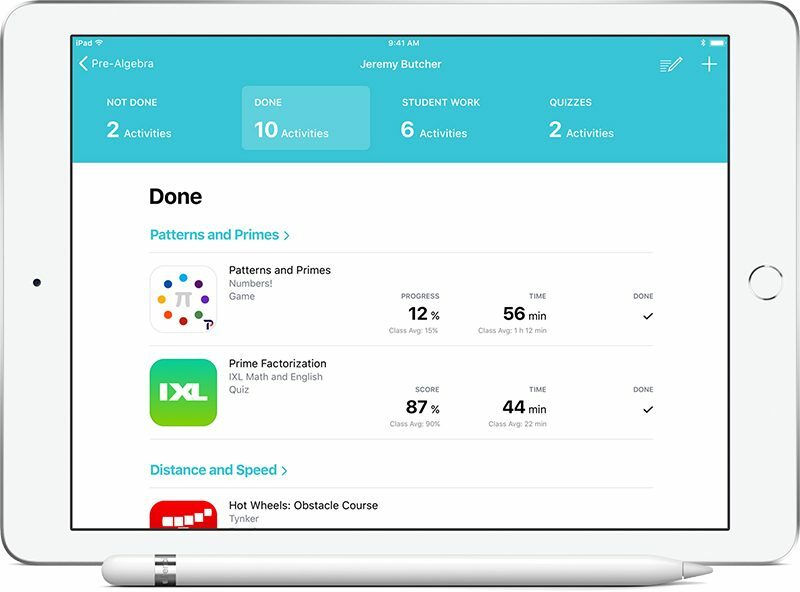 Apple today announced that its free Schoolwork app, introduced at its education event in Chicago in March, is now available for teachers. Schoolwork enables teachers to share assignments and announcements with students, track student progress, tailor instructions to student needs, collaborate one-on-one with students, provide instant feedback, and more. Schoolwork makes it easy to create and send announcements and assignments with almost any type of content, from web links to PDFs and documents, and even specific activities in apps. Students can use Schoolwork to stay organized and keep track of the work they need to complete and when they need to hand it in. 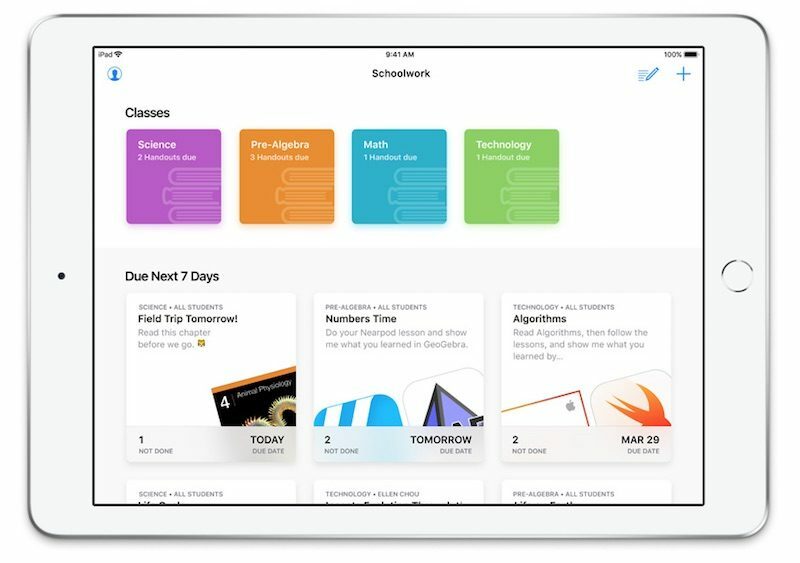 Schoolwork works alongside Apple's existing Classroom app for iPad, and soon Mac. The latter app lets teachers monitor every student's iPad in class. Classroom on iPad, for example, helps teachers keep students focused on a specific app or website and lets them view student screens during class, share documents with students, assign shared iPads, reset a student's password, and more. More details about the Schoolwork and Classroom apps and deployment are available on Apple's education tools website. Any idea if his can be used at home? Not talking about home school, just to assign my kids some educational iPad work and track that they’re doing it.